If you're a fan of Spider-Man, it's been a pretty eventful year for you. There was the excellent Spider-Man on PS4, Dan Slott concluded his decade-long run for the character in comics, there's an upcoming animated Spider-Man movie, Spider-Man: Enter the Spider-Verse, starring Mile Morales that's coming out in December and looks amazing, and despite him not feeling so good in Infinity War, he stole the show for a lot of people. Truly, there's nothing that could stop this gravy train from rolling. You know, except for Venom. It's not that everything about Venom is completely unappealing or interesting, but it justs looks like such a tonal mess of a movie. Venom looks goofy as hell, the movie is a toned down PG-13, and it comes across as Sony trying to make Venom edgy and cool like a 90's anti-hero in all of the wrong ways. Now I haven't seen the movie (nor do I intend to unless there's an R rated version that releases on Blu-Ray or DVD), but I'm not holding out much hope for it. That's a real shame because say what you will about Sony and how they've mishandled the Spider-Man franchise, they still made some good Spider-Man movies. They've also made some terrible Spider-Man movies, and I wanted to take a look back at the franchise that used to be the king of the superhero genre until Marvel came to town and took their beloved property back and rank each of Sony's Spider-Man movies. For this ranking, I'm using the same method as before when I ranked every Pixar movie. I'm watching all five of Sony's Spider-Man movies, both the Sam Raimi trilogy and the Amazing movies, then putting them in an order of worst to best. Just to be clear, I'm not going to be talking about Spider-Man Homecoming because it's a part of the MCU and wasn't made directly by Sony. However, if you want to know my honest feelings about it, here they are. I think Homecoming is just okay. Tom Holland is fine in the role, but the movie seemed to be spinning its wheels for most of the runtime and tried too hard to make Spidey funny. You know how people like to rail or roll their eyes at Marvel's brand of humor? Homecoming is textbook Marvel humor, for better and for worse. Anyway, let's get started with ranking these suckers. HAHA! You all thought Spider-Man 3 would be the worst in the series! At least Spider-Man 3 had moments that worked. This? 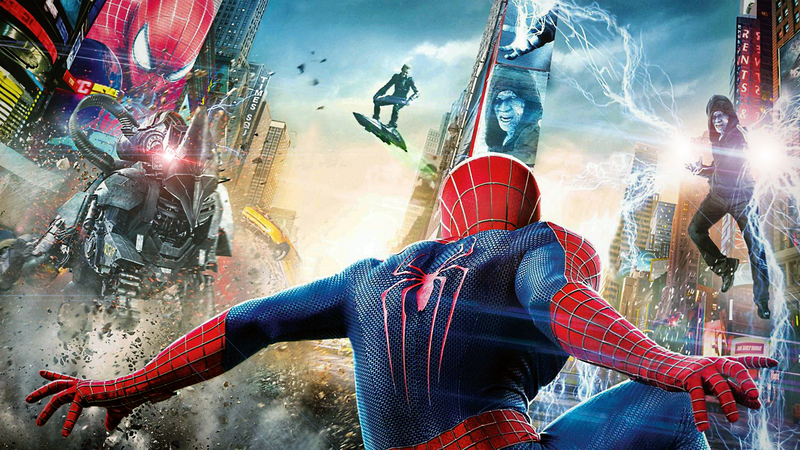 Nope, The Amazing Spider-Man 2 is just terrible from start to finish. There was a lot of hope going into Amazing 2 that it would be a massive blockbuster that would light the world on fire. It was going to start a Spider-Man cinematic universe, teasing the Sinister Six and their appearance. It was going to lead to a Venom spin-off set in the same universe. It was going to go big with not one, not two, but three major villains fighting against Spidey in a battle to end all battles. Everything was going to be fantastic... and yet it wasn't. Rewatching Amazing 2, it's shocking how none of the movie comes together. There's the main plot with Electro, then we have a side story involving Peter hanging out with Harry Osborn, Peter's ongoing drama with his parents (I totally forgot that was even a thing in the Amazing universe), Rhino pops up twice to cause mischief, and general drama with Gwen Stacey. Plus the movie is well over two hours long and moves at a snail's pace. So many events happen here, but all of it feels pointless, especially when the sequels evaporated into thin air after this movie failed at the box office, leaving most of the plot threads unresolved. I get what Sam Raimi and Sony were trying to accomplish with Spider-Man 3. I honestly do. They wanted to adapt one of the best Spider-Man story arcs, the one where he fuses with a mysterious Symbiote, and build on a lot of threads from the previous movies. Unlike popular belief, Sam Raimi was all for making a Spider-Man 4 and didn't want the series to be a trilogy. Still, we have to look at Spider-Man 3 for what it is, and it's also a complete mess. Hell, it's sloppier than Amazing Spider-Man 2 in some respects. I don't even need to list off the scenes that don't work, because we'd be here for days drinking and eating milk and cookies. Topher Grace as Venom is bizarre and really weird to watch because he's just so miscast. Emo Peter is cringe-worthy and transcends the movie to be one of the dumbest Spider-Man moments of all time. Then you have how dark and serious the movie tries to be about the inner torment that Peter goes through while connected to the Symbiote that is at odds with both the previous movies and how goofy the movie itself can get at times. But while I was re-watching Spider-Man 3 for this look back, something weird happened. I was actually enjoying myself. The scenes where Spidey fights the Sandman are great and I actually enjoyed the tensions between Peter and Harry over everything that happened so far. Maybe it was because I watched the three Sam Raimi movies back to back, but it felt completely natural to watch. But like Amazing 2, there's way too much happening in one movie. There are three villains hogging up all of the spotlight, inner turmoil between Peter and the Symbiote and the ridiculous drama of Peter and MJ's relationship. It's still a long movie, though what really gives it the clear win over Amazing 2 is that I still like this world and this version of Spider-Man more than the Amazing universe. Spider-Man 3 may not be the worst in the series, and I actually think it could be a guilty pleasure for some, it's still a heavily flawed movie. Outside of some truly terrible Lizard CGI that makes him look like one of the Koopas from Super Mario Bros. the Movie, I actually thought that The Amazing Spider-Man was a good time. It didn't blow me away or anything, but for a fresh new take on Spider-Man, I thought that it did a pretty decent job. What pushes The Amazing Spider-Man into my good graces is just how good Andrew Garfield and Emma Stone are as Peter Parker and Gwen Stacey respectively. There is so much chemistry between these two actors that it's hard for me not to like them. Hell, they got along so well that they even dated outside of the movie for a time (though I have no idea if they're still together). This is a movie where the character moments really outshine any of the action. I tell my friends this whenever the discussion comes to live-action Spider-Man portrayals, but Andrew Garfield is the best Spider-Man I have ever seen. He's energetic, quips like a maniac, and has enough confidence to the point where he isn't annoying. While I felt that Tobey Maguire was a bit too robotic as Spider-Man while Tom Holland was a bit too immature, Andrew Garfield nails the character in every way imaginable. He's exactly what I imagine a modern Spider-Man should be without being too corny. It's a shame that Amazing 2 jettisoned most of the relationship between Gwen and Peter in favor of more action and villains, but Amazing Spider-Man is still a fun ride. Spider-Man is an incredibly corny and cheesy comic book movie. You know that clip from the 90's Spider-Man cartoon where Spider-Man says "This is starting to sound like a bad comic book?" Yeah, that's Sam Raimi's Spider-Man. It's hokey, features a ton of dumb moments, and has some laughable CGI worse than The Amazing Spider-Man, but hot damn is this a popcorn flick if I've ever seen it. 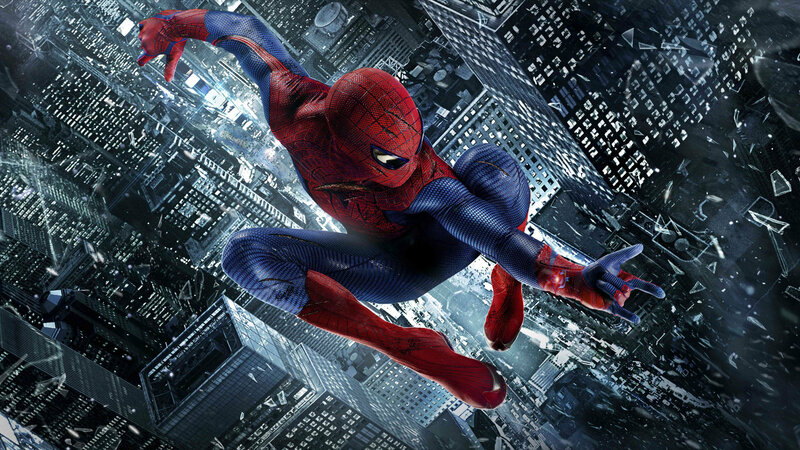 Spider-Man is a simple, basic superhero movie with none of the fluff and I love it. I know I just inadvertently put down Tobey Maguire's take on Spider-Man, but let me just clarify a point real quick. Even though I think that Macguire is a terrible Spider-Man, he is a perfect Peter Parker. He's awkward, kind, a bit of a dork, but generally still a good person. When I see Macguire as the character, I actually see Peter Parker. All of that falls apart when he actually has to be Spider-Man, which should kill the movie, and yet it doesn't. Mostly because the supporting cast is phenomenal across the board. J.K. Simmons IS J. Jonah Jameson. Bar none. End of discussion. You see him in one scene, and it's a done deal. He's perfect in the role. Then you have the bizarre appearances of Macho Man Randy Savage and Bruce Campbell at the beginning of the movie and the realization that James Franco as Harry Osbourne isn't half bad. I even liked Kirsten Dunst as Mary Jane Watson. Sure, by the end of the third movie she was insufferable with her and Peter's "Will they, won't they" dynamic, but it started out on solid footing. And then you have Willem Dafoe as the Green Goblin. What else can you say besides how he's so over-the-top that it's brilliant? He's both legitimately scary and oddly casual about being a psychotic man that flies around on a green hoverboard. All of his scenes are just a joy to watch at how Cage-esque he is. Spider-Man is exactly what you would expect out of an early 2000's superhero movie and it's a great sit from start to finish. It may be blindingly obvious, but Spider-Man 2 is the best Spider-Man movie ever made. Looking back on it 14 years later, it's so interesting to see that a lot of the movie holds up today and even surpasses a lot of modern interpretations of the character. First and foremost, Spider-Man 2 perfectly balances what it means for Peter to be Spider-Man and how much of a toll it is on him both mentally and physically. Everyone likes to remember the train scene as the biggest example of the stress that he's placed under being Spider-Man, but I was much more interested in seeing Peter's powers short-circuit for most of the movie. I completely forgot that Peter was constantly losing and regaining his powers was a big deal as I was watching it. remembered that it happened, but I never got the connection between that and his mental well being until recently. Peter would lose them whenever he was under heavy stress, usually while acting as Spider-Man, but they only resurfaced in when he was determined and focused enough to get the job done, like saving MJ from Doc Ock, as well as finally accepting the responsibility of being a hero. Speaking of, holy crap Alfred Molina is good as Doc Ock. I don't think I'm making a big claim when I say that Spider-Man 2's portrayal as Doc Ock is one of the best interpretations of the character ever, even moreso than Dan Slott making him into Spider-Man (long story). But really, Spider-Man 2 is more a movie about Peter Parker than about Spider-Man. Peter has to deal with the responsibilities of being Spider-Man and he does so in a variety of ways. He quits being Spider-Man for a time because it's interfering with his normal life. He saves a train full of people at the cost of his own body. He even reveals his secret identity to both Harry and MJ and tells Aunt May that he feels responsible for Uncle Ben's death. Peter matures as a character and with it, both his character and Spider-Man's character have more depth and layers to them. Rewatching all of Sony's Spider-Man movies, I had no idea what to expect going into it. Spider-Man has never been one of my favorite superheroes, but I still had vague memories of enjoying or at least tolerating most of them. Except for Spider-Man 2. I always knew coming back that I would enjoy the hell out of Spider-Man 2. I would even go so far to say that it's one of the best superhero movies ever made, right up there with The Dark Knight, Superman II, Watchmen, and Infinity War. It's going to be interesting to see how Venom holds up to Sony's other Spider-Man movies, but it's going to be... something.